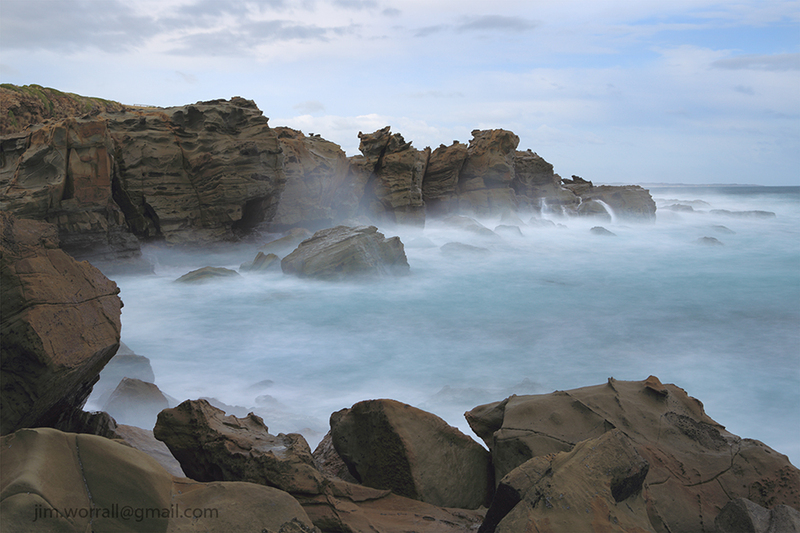 Here’s some images from the Kilcunda end of the George Bass Coastal Walk. Below – 1.6 secs, f/8, ND400 filter. Available as a print here. Below – 25 secs, f/14, ND400 filter. Available as a print here. Below – Tog on a rock. 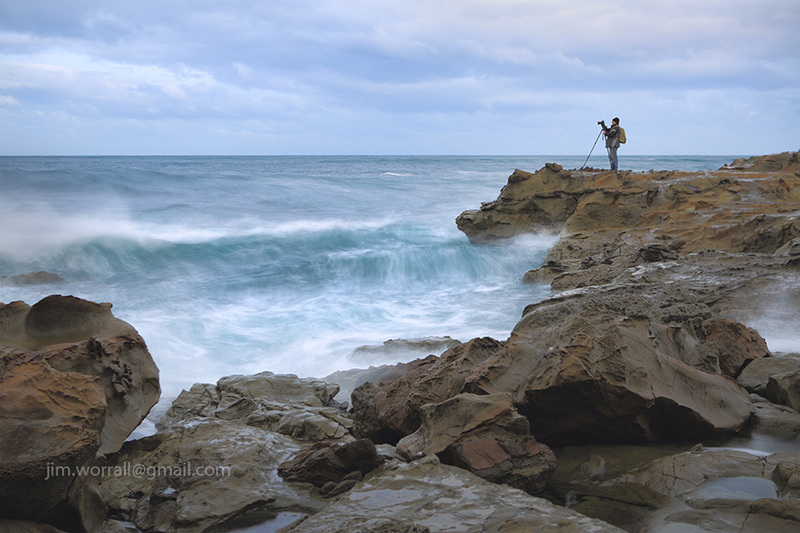 Jason on the rock platforms at Kilcunda, taking in the scenery. This entry was posted on July 30, 2015 by Jim Worrall. It was filed under Uncategorized and was tagged with art, Australia, beach, excursion, George Bass Coastal Walk, Jason Cincotta, Jim Worrall, Kilcunda, long exposure, ND filters, ND400, seascape.